Arrived a bit late and knew the sun would not stay for long. 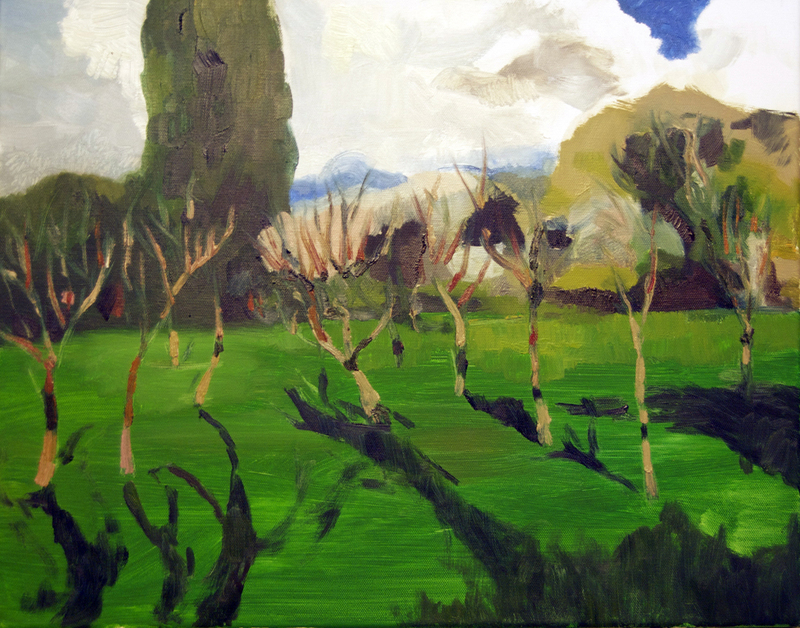 The orchard has some lovely bright green grass and leafless trees in formation. Looking forward to visiting again. Remember to visit the house and take a look inside – great views from the top and some huge traditional landscapes on display plus lots of info from the docents. Matt and I were late because we spent too long browsing the antique shops in Martinez.